Please call our booking department at (888) 505-3680 or visit our website to find out about programs and prices. Don’t forget to follow us on Facebook. 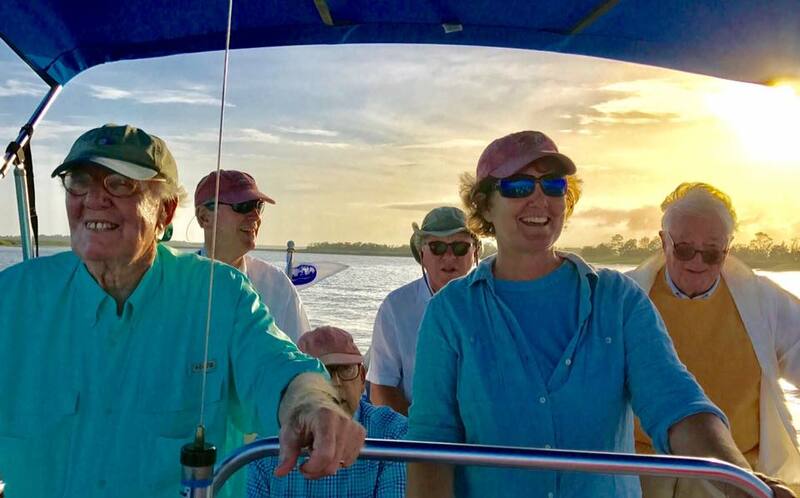 A tour with Botany Bay Ecotours will make your visit to Edisto Island, SC in the ACE Basin an unforgettable event as you explore the rivers, marshes, and beaches. 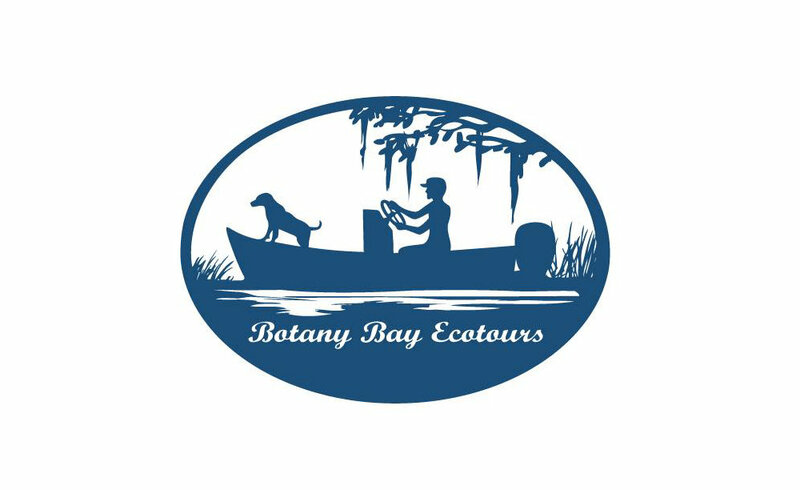 Entertaining and enlightening ecotours focusing on the natural and cultural history of Edisto Island and Botany Bay Plantation led by a local biologist. We offer kayak tours, sunset cruises, and dolphin tours as well as private, customized tours. 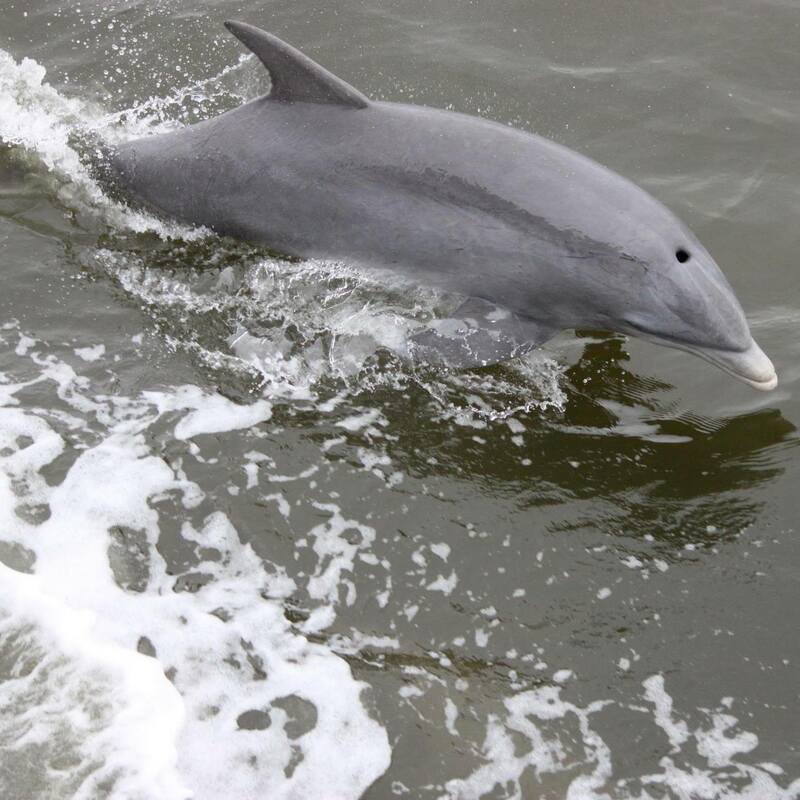 Dolphin Boat Ecotours: These trips focus on the ever-popular bottlenose dolphins, but there’s so much more! Cruise with the dolphins and learn about their amazing life history. Keep in mind that dolphins are wild animals and we can’t guarantee their presence. However, we feel a trip on the water in the ACE Basin is always a worthy way to spend time whether the dolphins join us or not. Remember, this is more than just a dolphin tour. You will enjoy seeing a variety of bird species, learn about the salt marsh ecosystem and local cultural history. Your guide can tell you about the sea turtles that nest on the beach during the summer as well. 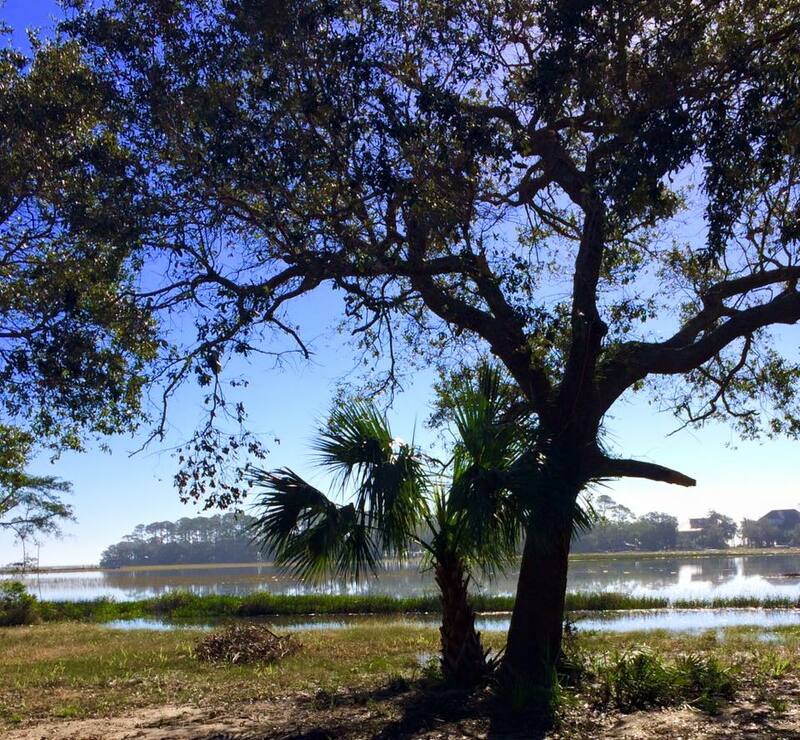 Thursday trips include a Gullah Tour with local resident Sarah Burnell. 75 minutes. Gullah Ecotour: Join Island celebrity Sarah Burnell on the Thursday Dolphin Ecotour and he or her first-hand account of “Growing up Gullah” on Edisto Island. Sarah’s stories and songs give you a front row seat to Island history and culture. She will “sing” the dolphins to the boat while your captain shares natural history with you on this one-of-a-kind tour. Gullah Ecotours are every Thursday on the public Dolphin Ecotours and on private tours by request. 75 minutes. 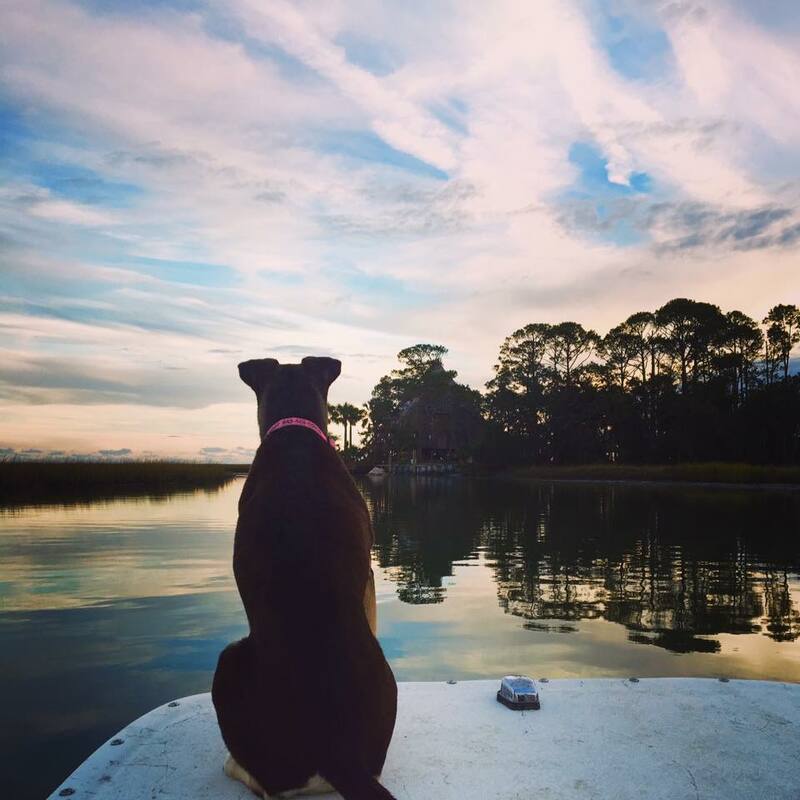 Sunset Cruise: Unreel and unwind while your captain takes you on a cruise that is the perfect ending to a day on Edisto. Watch the birds heading for their roots, the dolphins feeding and your cares slipping away. Bring a cold beverage of your choice to treat yourself or make it a perfect date night. Not suitable for children under age 10. 75 minutes. Private Tours: If you’re looking for a more customized experience, book a private tour. Any of the above public tours can be booked as a private for up to 12 passengers for $400. Or you can explore the ACE Basin further and delve deeper into the history of the area or even circumnavigate the whole island. See a list of our most popular Custom Tours for 5 people or call Meg to book a Custom Private Tour for 6-12 people starting at $400 for 1.5 hours at 843-869-2998. Island Safari: Grab a beach towel and pack a picnic and we will take you to a secluded island getaway. Explore a beach as it was hundreds of years ago with no houses and few people. On the way, we’ll tell you about the amazing cultural history linked to the area. Once on the beach, there are plenty of wonderful beach treasures to explore which your guide can help identify. We support the eco-tour principle of “take only photos and leave only footprints” so the treasures will stay on the beach for the next explorers to discover. Call Meg to book your Private Island Safari starting at $340 for 2 hours, 12 people maximum. For groups larger than 12, we can make multiple trips and have your entire group together on the island call 843-869-2998 or email.